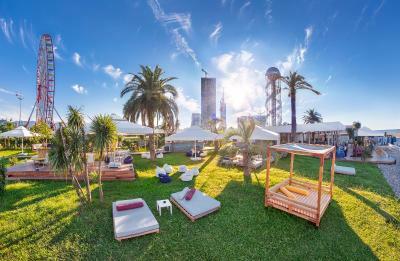 Lock in a great price for Radisson Blu Hotel Batumi – rated 8.6 by recent guests! The room is spacious and completely exceed my expectation, plus it has a great sea view. 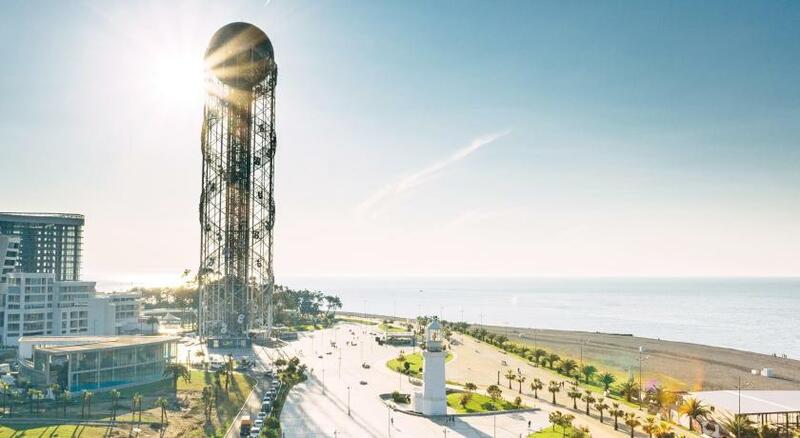 The location of the Hotel is very convenient as well, you can easily visit many city-sighting places and many restaurants kiosks the cafe bar surrounding by the hotel. An incredible stuff with it’s excellent facilities.. tnx again for such a leisure and unforgettable experience .. 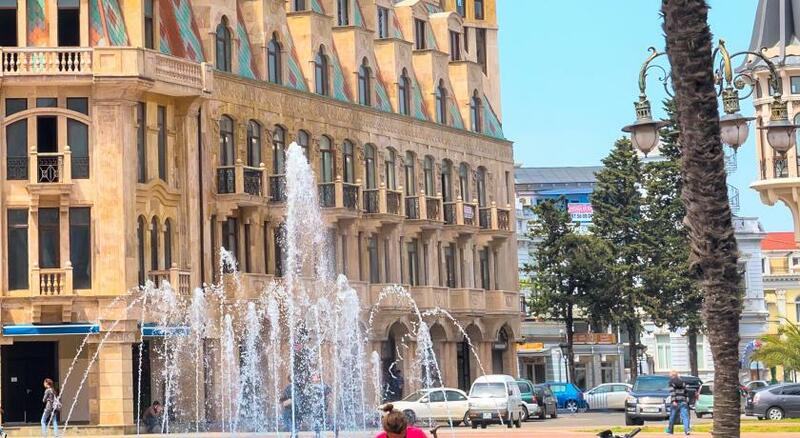 It is one of the worst hotels in Batumi. The bed quality is very bad. Poor air conditioning. Bad certain quality as you can see from the pictures. I loved the suite we we're in, it had a steam room, shower, bath and it was very spacious. The location of the hotel is just perfect, it's close to a lot of places like the batumi boulevard, and the famous Ali & Nino. The breakfast was good and the staff we're very polite and helpful. We had a pleasant stay and would definitely consider coming back! On the beach, walking access to Batumi Boulevard 1884, which is really well maintained. Lots of fun activities. Very attentive and intelligent staff, high quality spa procedures. Good location ... nice staff ... beautiful see views. staff was nice and specially Mamuka from the reception desk who was a friendly. Radisson Blu Hotel Batumi This rating is a reflection of how the property compares to the industry standard when it comes to price, facilities and services available. It's based on a self-evaluation by the property. Use this rating to help choose your stay! 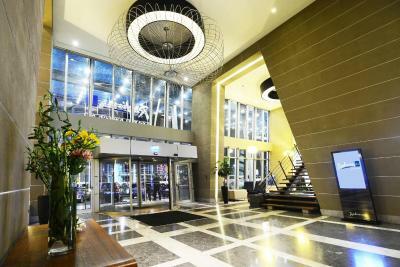 Radisson Blu Hotel provides air-conditioned rooms and suites with wooden floors and floor-to-ceiling windows. A laptop safe is provided, and your bathroom includes bathrobes and slippers. A breakfast buffet is provided each morning. 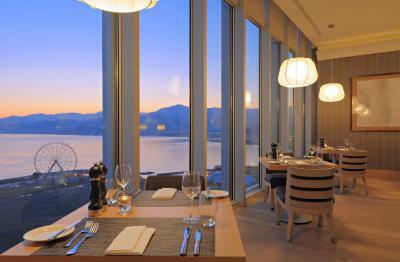 Grilled meat and seafood is served in the 19th-floor restaurant. 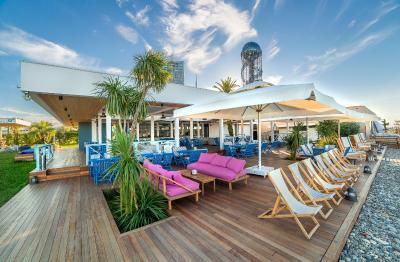 Guests can enjoy creative cocktails at the rooftop bar. 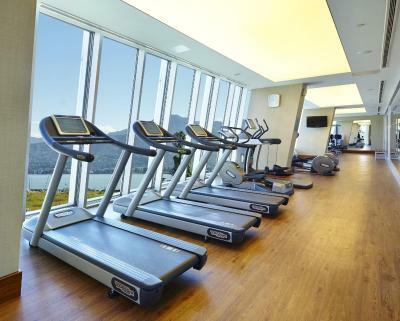 Health facilities at the Radisson Blu Batumi include a gym, sauna and steam rooms. 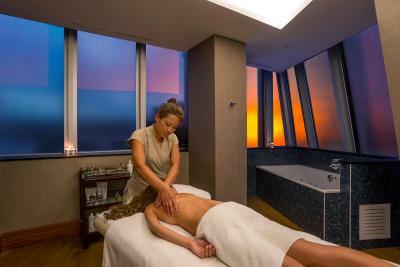 Guests can book a massage for extra relaxation. Shuttle to the Iveria Beach and the Gate nightclub is offered for your convenience. The popular Black Sea promenade is just a 5-minute walk away. 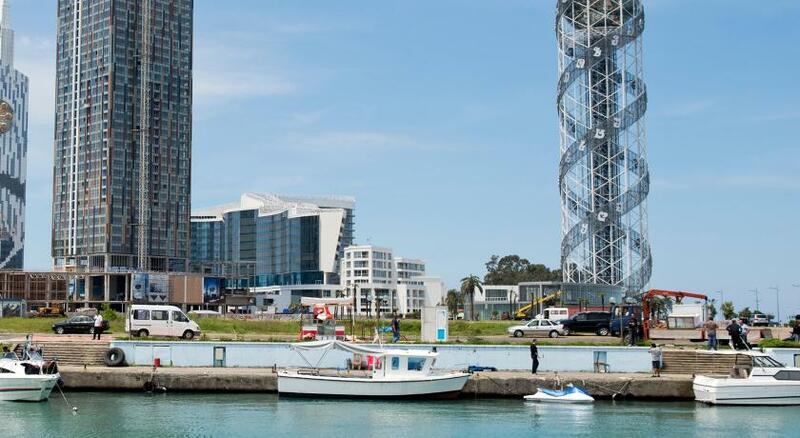 The Radisson Blu offers free parking and is 4.3 mi from Batumi International Airport. 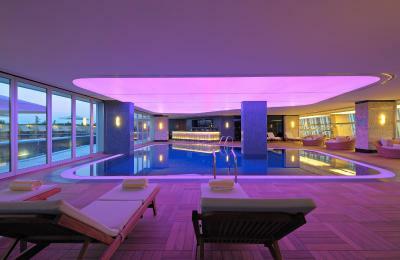 When would you like to stay at Radisson Blu Hotel Batumi? Air-conditioned room with a flat-screen TV, minibar and teakettle. Spacious room features a flat-screen TV, a Nespresso® coffee machine and a trouser press. Breakfast in the room service is offered for guests staying in this suite. Spacious room features a flat-screen TV and a trouser press. Located on the top floor this room offers extra space, a mini-bar and hot drinks facilities. Bathrobes, slippers and free toiletries are also provided. 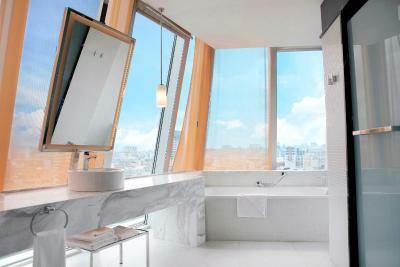 Located on the hotel’s top floor, this junior suite features spectacular views. Includes a separate bedroom and an office. This suite has Espresso Coffee Machine , electric kettle and air conditioning. The suite comes with private steam room. This family room features a soundproofing, electric kettle and tile/marble floor. This suite has air conditioning, hot tub and tumble dryer. This double room features a private entrance, hot tub and seating area. Spectacular service truly makes our property stand out from its competitors. "Yes I Can!" philosophy practiced by Rezidor Hotels worldwide is about delighting our guests to the maximum and making sure we "Say Yes" where others wouldn't. House Rules Radisson Blu Hotel Batumi takes special requests – add in the next step! All older children or adults are charged GEL 121 per person per night for extra beds. Radisson Blu Hotel Batumi accepts these cards and reserves the right to temporarily hold an amount prior to arrival. Guests are required to show a photo identification and credit card holder must be present upon check-in. Please note that all Special Requests are subject to availability and additional charges may apply. The breakfast and the restaurant service are weak for the overall level of the hotel. Would fit into a lower level hotel. 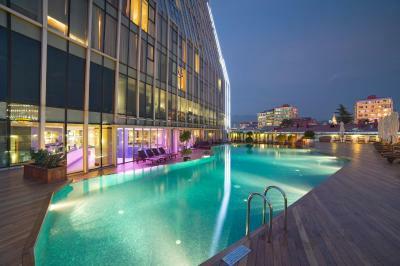 This hotel is new and is located at the best part of Batumi. Rooms are spacious and clean with a pretty high ceiling. If you need to work on your laptop there is a very ergonomic working table. The staff is very friendly! Special thanks to Alexander from the roof top bar. I also recomend to visit a spa area. I just spent two nights in the hotel and we came to Batumi at winter time, i wish to visit Batumi in the summertime again. comfortable rooms, beds, pillows, spa was super good (but with no bar), Restaurant excellent-ecpecialy barman Alex! When I lived on the ninth floor, the internet did not have a big problem. But when I lived on the 14th floor, the 1408 room could hardly find the internet. There is almost no internet in the bedroom and bathroom. The sound of the air conditioner is very loud. The location is good, The interior space is larger than other hotels.